Unique and original bedside table ideas for your bedroom! 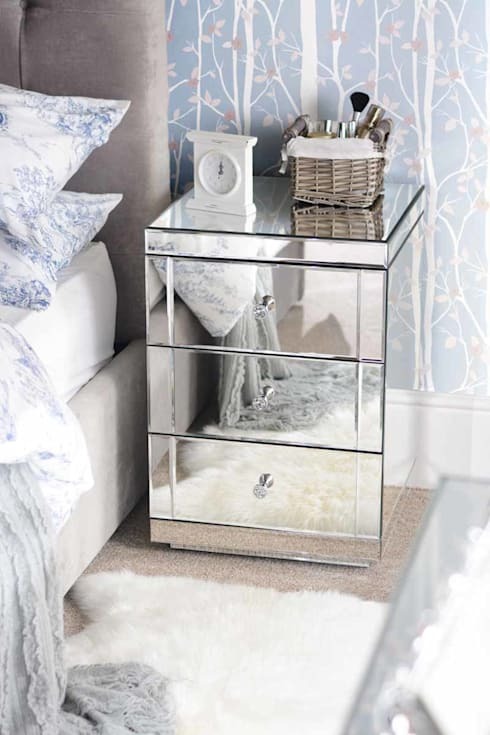 The humble little bedside table is often added to the bedroom as an afterthought. After all, it's just the little, functional sidekick to your big furniture item—the bed! But a great set of little side-tables should never be a boring or hasty addition to the bedroom. In functional terms it obviously provides a handy access point or support for your glasses, books, side-lamp, glass of water or mobile phone. But it's also a really valuable way to express and build on the theme and personality of your bedroom decor. The bedside should never dwarf or compete with the other furniture in the room, so it's often small. This means that it's comparatively cheap to purchase or build and the very smallness allows you to get away with a little more experimentation in your design. So let's get on with exploring a few more original ideas for your bedside table. Enjoy! There's nothing like a little bedtime reading to help you while away a few hours in bed. But the little bedside table can often get a bit crowded when the books compete with a charging phone and other accessories for space. 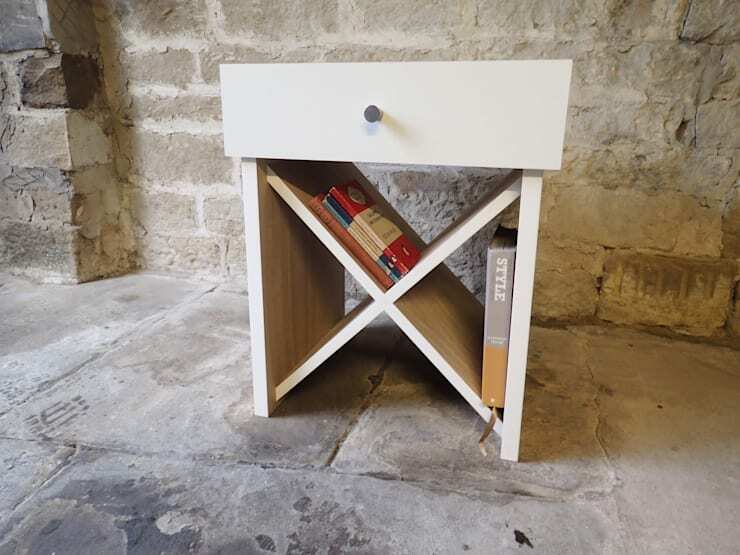 Look at building or purchasing something like this side table and bookshelf in one—reading material will always be at hand and it's just about the most encouraging way to help you indulge in the reading habit. The humble old crate has come a long way in recent years. 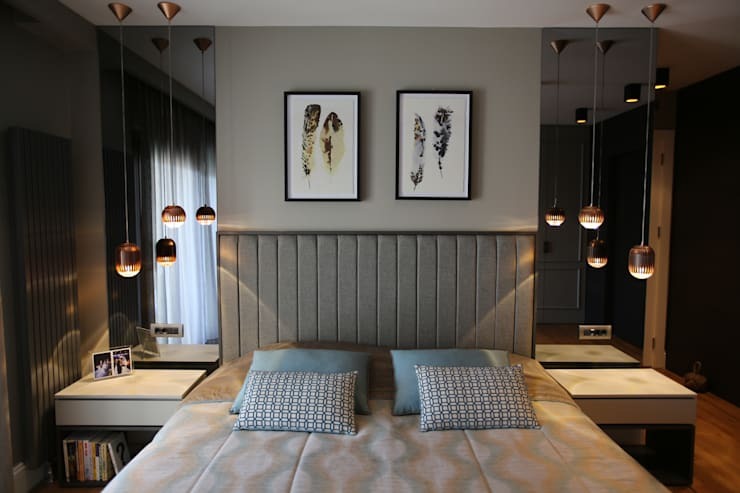 Ideally, your bedroom should be a place of sumptuous indulgence, so this is a choice that really requires a little polishing up. Look at how beautiful this wood-crate looks with a little wood stain and lacquer. A set old brass support beams and a custom-cut piece of bevelled glass really adds an extra polish to the piece. Furniture with a little more gloss and decadence can often work well in a bedroom. Bedrooms are usually places of luxury and indulgence, so the mirror won't seem too over the top. The area around the bed is often clear and the table is so small that the mirror will reflect the flooring and pretty bedclothes. This means your flooring will look larger and no clutter is reflected! A bedside table is just a small prop to support accessories, so there are lots of small objects or quirky custom-designed pieces that will suffice. Look at this custom-made furniture by Tonucci Design. It almost resembles an old trolly and the wooden finish would add a very old-world nostalgic look to the bedroom. If you are interested in DIY approaches, there are countless ways old furniture could be upcycled to suit. 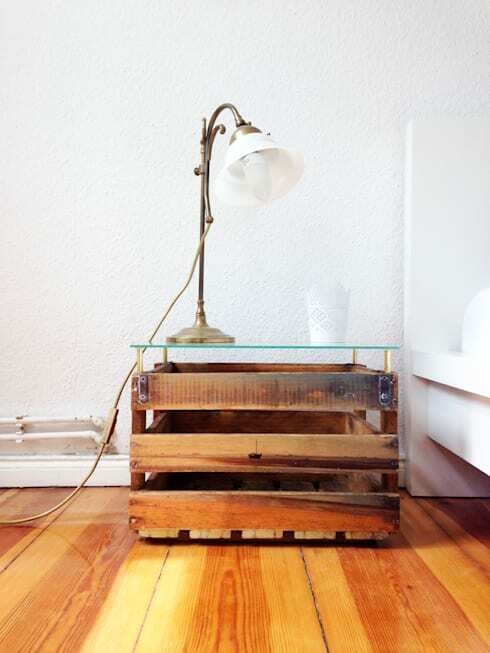 Consider using an old suitcase or cutting down the legs of a small table to make the height just right. Organic shapes and materials are definitely in at the moment. The curved, organic shapes in this lovely layered piece of wooden furniture will add a very natural look to a bedroom. Perhaps you could even arrange the newspapers, books and coffee on top and the mobile phone and gadgets on the lower levels. This way they are out of sight! After exploring all these options, you may just want something simple and straightforward for your side-table, but this doesn't mean it can't be unique. Look at dressing up or building up the accessories or backdrops for a real wow factor. 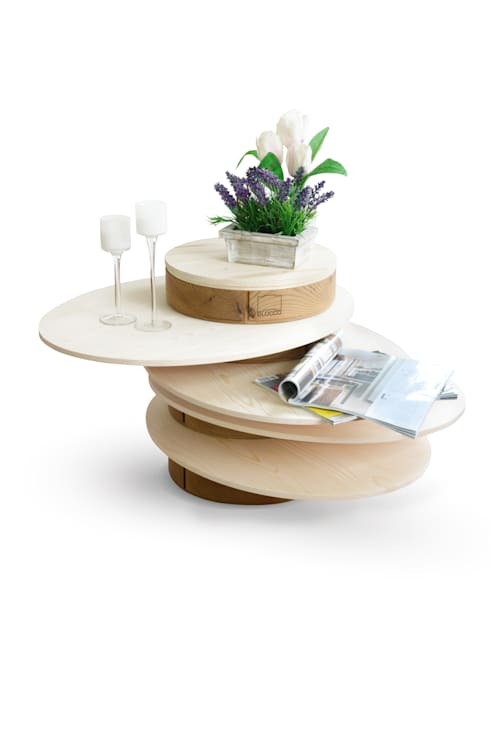 The side-tables here are fairly conventional and contemporary. But the addition of a beautiful set of pendant lights and a mirrored backdrop really lift them to another level. Note how the hanging pendant lights eliminate the need for a standing side-lamp and leave the tables clear. The mirrors also reflect the light and create a very ethereal, elegant look. 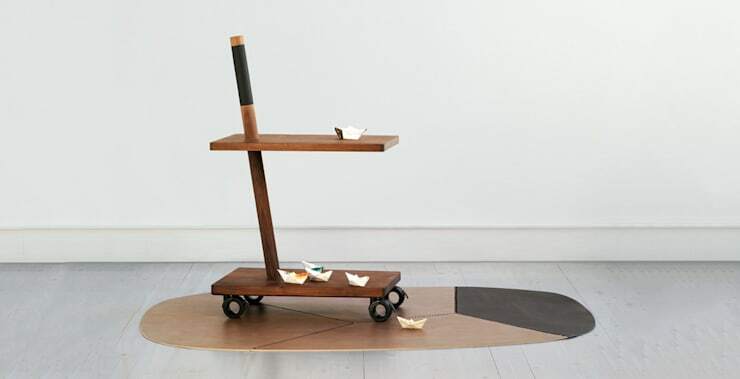 If you are interested in unique furniture, you'll love this Ideabook Art from junk. Have you ever created some quirky bedroom furniture of your own? We'd love to hear from you in the comments field below.